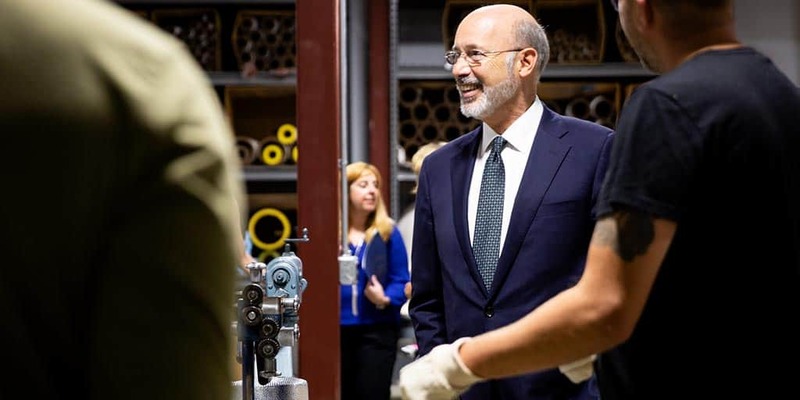 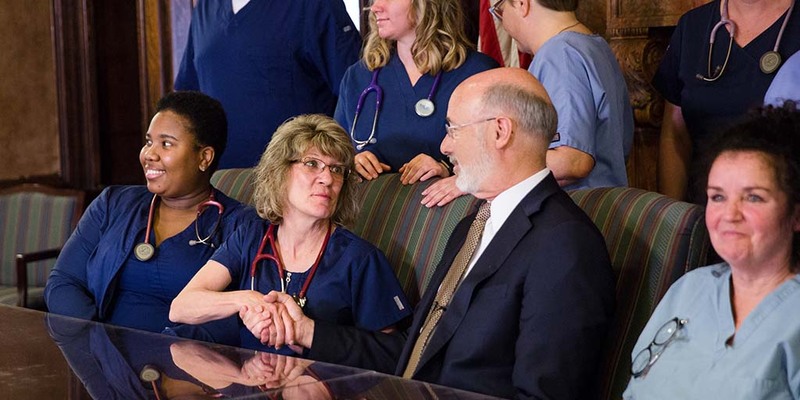 Last week, Governor Wolf highlighted the commonwealth’s significant progress and investments in education, called for the support of women’s reproductive health rights, and visited two central Pennsylvania companies. 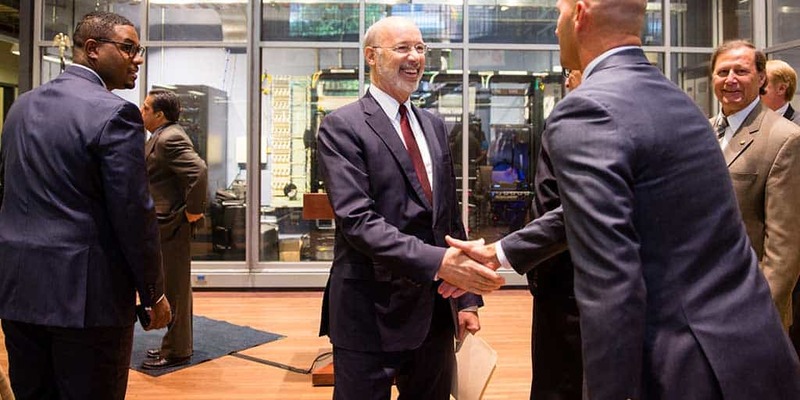 Last week, Governor Tom Wolf announced a $22 million deposit into the state’s Rainy Day fund, outlined his first-of-its-kind PAsmart initiative, and highlighted investments in pre-K and higher education. 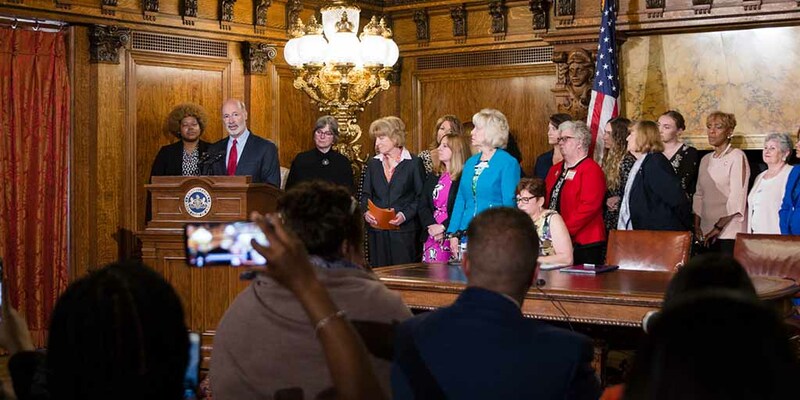 Last week, Governor Tom Wolf joined First Lady Frances Wolf to take executive action to address the gender pay gap, announced measures to reduce air pollution, and continued to rollout his Resurface PA initiative to fix potholes. 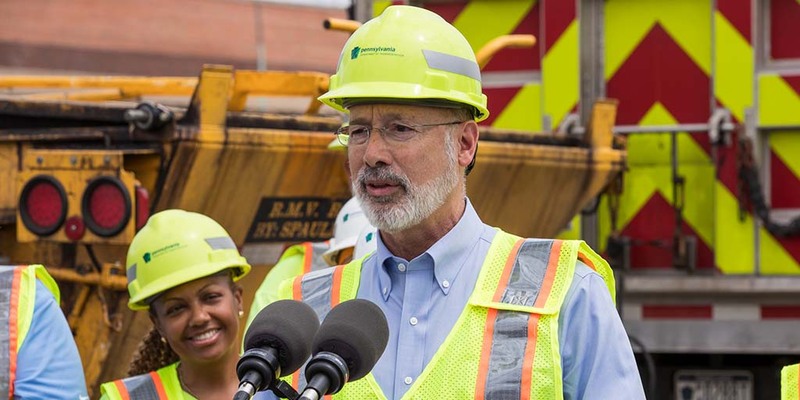 Last week, Governor Wolf celebrated the arrival of the first two super post-Panamax cranes at the Port of Philadelphia, highlighted the administration’s new Resurface PA initiative, and reiterated his support for raising the minimum wage.